Ever wanted to Sail ? 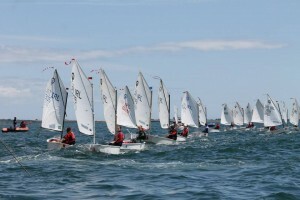 Sailing is a fun sport that can be enjoyed at different levels by all ages. People ‘drift’ into sailing at different stages in life – some sailors find their way through the traditional course route, others are guided by crewing with more experienced members (or a combination of both). Whatever course you wish to steer our goal at WHSC’s is to facilitate the journey in a pleasurable and safe environment. The small enclosed cove at Dunmore East is a perfect place to learn to sail. If you want to get a taste of sailing, whether that be dinghy or cruiser, we recommend you contact us and we will see what we can do to help. WHSC do also offer a wide range of courses to suit all tastes, ages and experience.